If you’re like me, most of the notes you took back in school were filled to the brim with sketches, scribbles, and doodles in the margins of the pages. Not only did they help pass the time, but the scribbles added some interesting effects to the pages as well. If you’re looking to recreate that personal touch via Photoshop, this entire article is dedicated to the elusive Photoshop scribble brush. 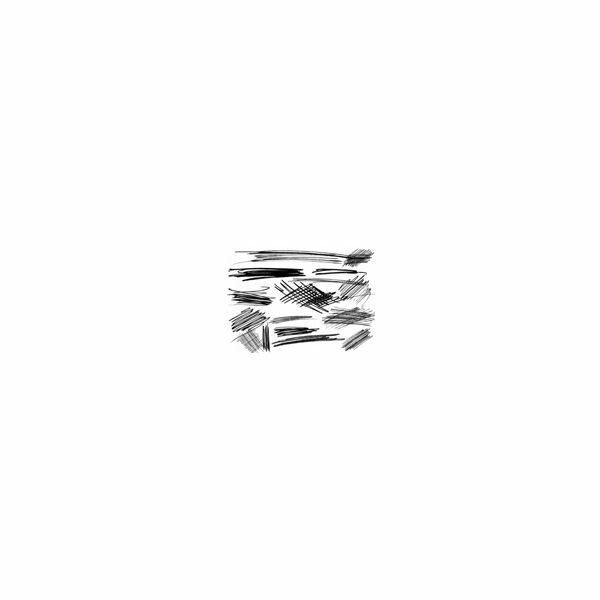 If you’re looking for a simple, yet strangely pleasing to the eye, maybe you should check out Scribble Boxes by Ch4ron. 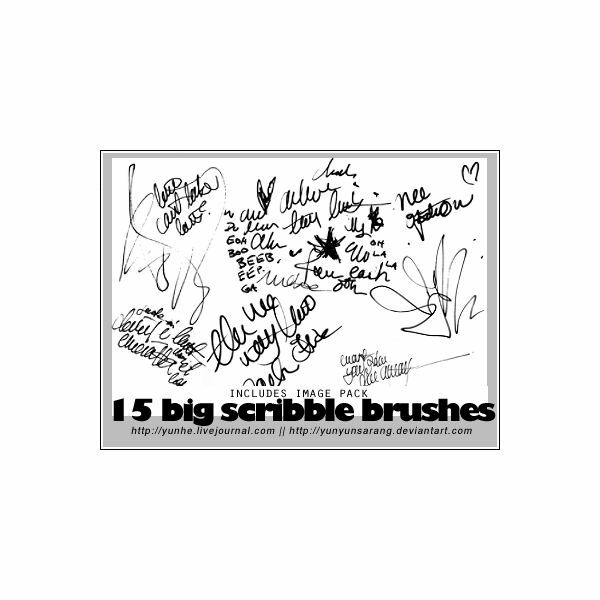 This set of different scribble boxes are sure to come in handy, because who doesn’t love boxy brushes? 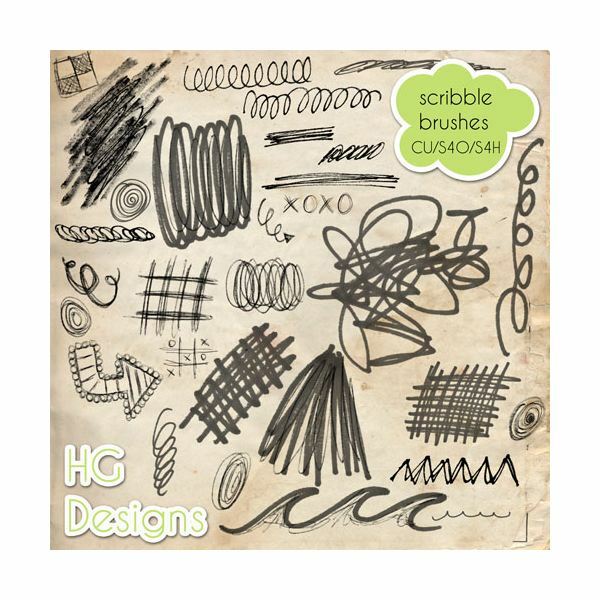 If you’re looking for messy and cute scribbles and doodles that look like they were taken from the margins of someones school notes, Doodle Scribble Brushes by HG Designs is the one for you. I love the fact that these look the the artist simply found her favorite doodles and scanned them in as brushes as an afterthought. 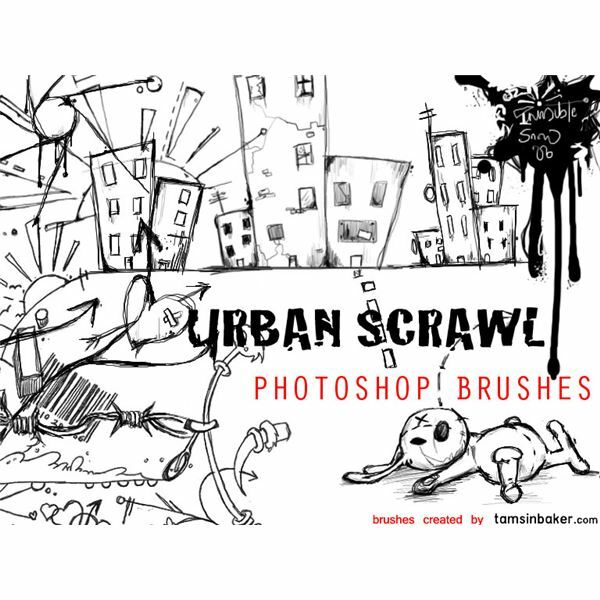 Urban Scrawl by InvisibleSnow is one of my favorite brushpacks because while they are still scribbles and doodles, there’s something extremely artistic about the set. These have a very awesome grungy feel and still manage to be very high quality. This brush pack includes 29 must-have brushes. Looking for some really rough, yet very high resolution scribbles? 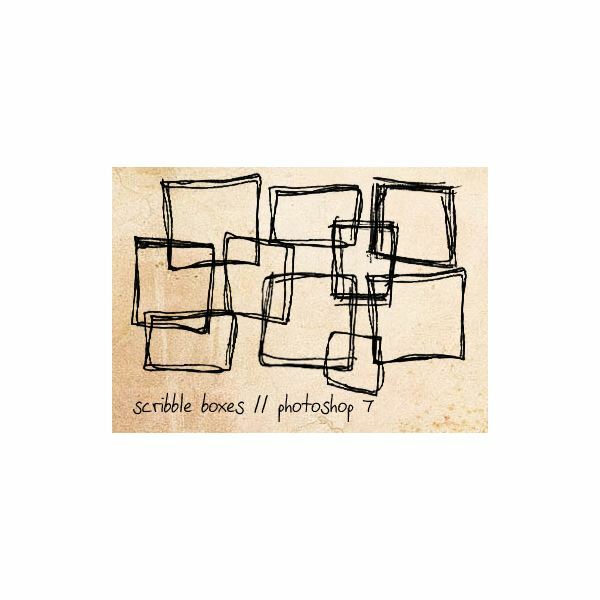 Scribble Brushes by necrosensual-art is a fantastic set of 17 scribbles in various sizes with a very "permanent marker on printer paper" feel to them. 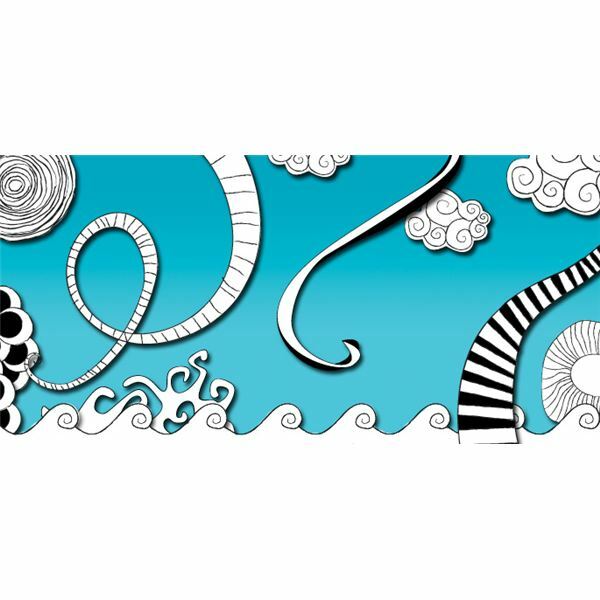 If you’re looking for actual scribbles and doodles, there’s no better pack than 15 Big Scribble Brushes by yunyunsarang. The artist scribbled things in class and as an afterthought, scanned them in and created a great brush pack of fifteen random scribbles. Includes the image pack, so those of you who don’t use Photoshop can use it as well. Whether you’re making a love-themed project or you just enjoy the adorable additions of hearts, Scribble Hearts by cooliojulio is a must-have brush pack. This pack includes fourteen heart brushes ranging from 34 to 400 pixels in size. These are absolutely great for small detail work in projects. Sometimes it’s worth noting that more is better, and when it comes to brush packs, I absolutely love the megapacks. 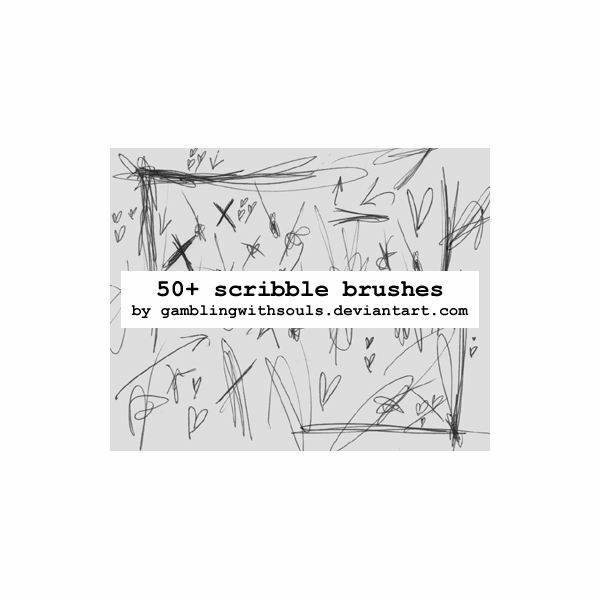 Scribble Brushes 02 by gamblingwithsouls is a megapack of 50 different scribble brushes, including scribbled lines, hearts, stars, letters, arrows and more. Looking for ultra-adorable? I’ve got you covered! 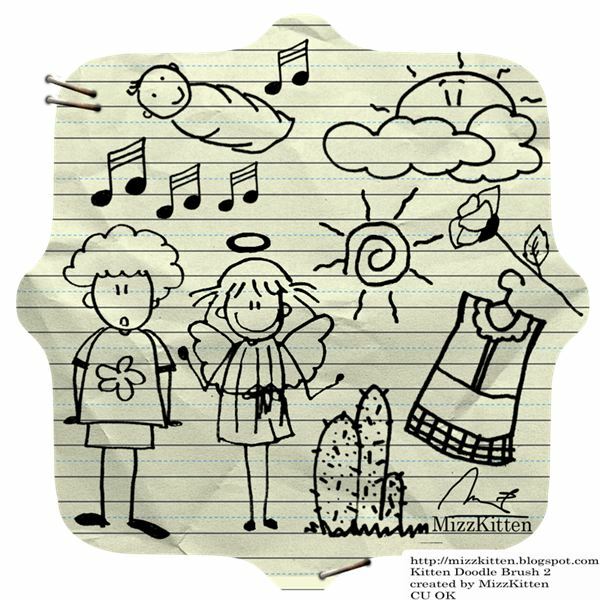 Kitten Doodle is a pack by Meta Wulandari that looks absolutely precious, and is very similar to the simple doodles that children would do. There are a bunch of things available in this pack, from outdoor things to people and everyday objects. As always, I like to point out which brush pack is my favorite in an article. This time around, I think that Handrawn Doodle Brushes by ARSGRAFIK has won me over. Not only is this pack very visually interesting, the brushes are very high resolution and 100% free for both private and commercial use. And as the artist suggests, these really do lend a crafty, hand drawn touch to projects! 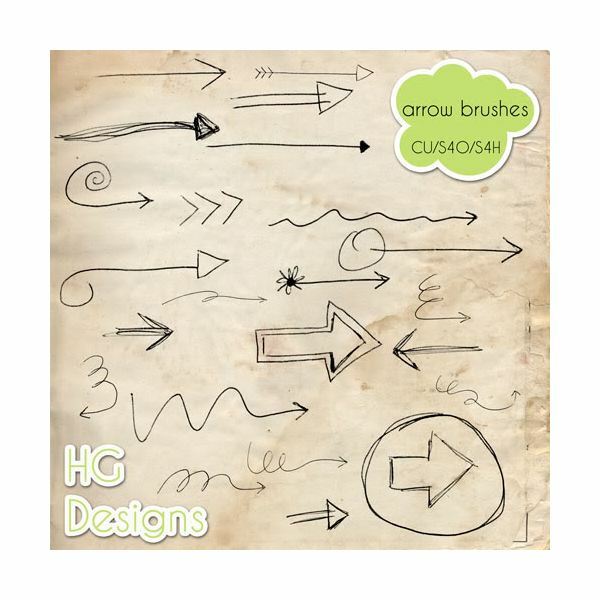 HG Designs seems to have a knack for hand drawn brushes. I absolutely love their set, Arrow Brushes, as it’s a cute way to add emphasis to projects of all kinds while still keeping it very personal. This is definitely a must-grab brush pack. All images are the property of their original owners and are used only for demonstrative purposes only.